We selected Ava Cornell as our September Student of the Month. Ava receives her tutoring in Chino Hills. She started the 4th grade at Gerald F. Litel Elementary this school year and she has been receiving tutoring for math and language arts with our tutor Gale Frankel since early June 2014. 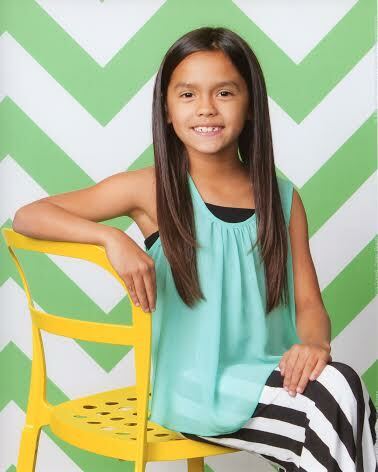 Ava is a very bright young lady and, with just a bit of assistance, she has made great strides. Right from the start Gale and Ava hit it off due to their shared love of learning. When asked what attributes make Ava such a great student to work with, Gale said, “Ava is a hard worker and eager to learn.” Additionally, she added that she enjoys “Ava’s enthusiasm for learning. She’s a delight to work with.” Clearly, not only is Ava intelligent, motivated, and hard working, but she also loves and values the many benefits that come from learning. Because of all these reasons, we decided that Ava would be the perfect choice as our September Student of the Month. Ava and Gale’s hard work have paid off. With Gale’s help and Ava’s enthusiasm for learning, Gale says, “Ava has a much better understanding of the material being learned.” Gale has seen Ava make great strides in the short time that hey have worked together, which has been extremely rewarding for Gale and Ava. What is more, Ava’s self confidence has really blossomed, which has provided Ava with an essential tool in order to succeed academically. Gale has really enjoyed her time with Ava thus far, and she says that the best part of working with her is watching Ava’s self confidence grow. We know that if they keep working towards achieving Ava’s academic goals, Ava will continue to blossom and live up to her full potential. We are excited to see how Ava continues to progress and we hope to be a part of that journey for years to come. Thank you to Andrea for allowing us the opportunity to work with her amazing daughter. Congratulations Ava! We provide tutoring in Chino, Norco, Eastvale, Chino Hills, Mira Loma, Alta Loma, Ontario, Corona, Rancho Cucamonga, and all the surrounding cities. We have students from Sky Country Elementary, Oxford Preparatory Academy, Heritage Oak Private Education, Townsend Junior High School, Roosevelt High School, Alta Loma High School, Norco High School, Centennial High School, Chino Hills High School, Ontario Christian High School and Ayala High School.